Did you manage to get anywhere on this? 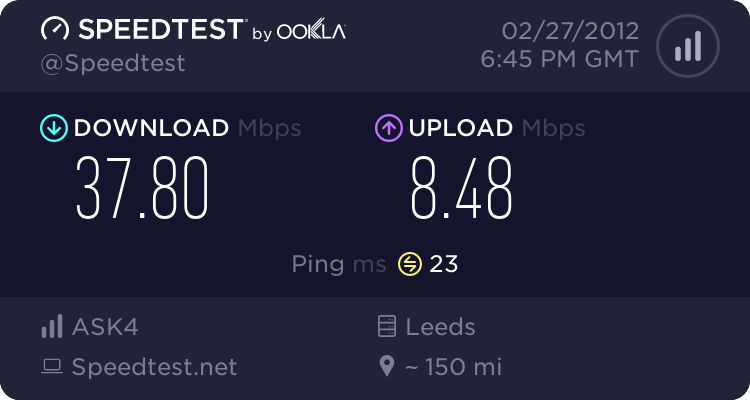 I generally don't care what my upload is, but after subscribing to a cloud backup services, I notice that I'm nowhere near the 8-9mbps I use to have last time I checked. 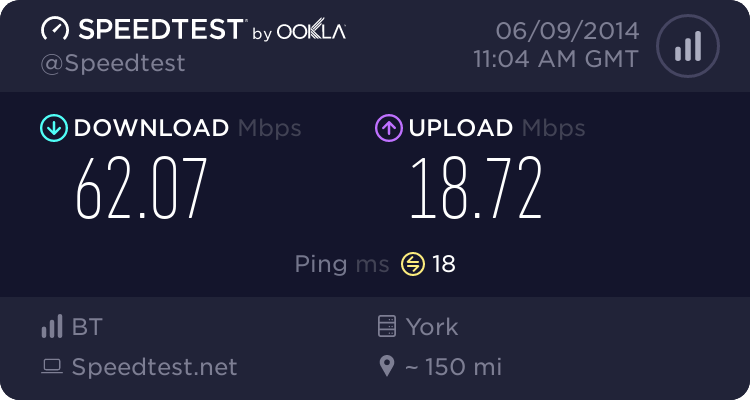 I'm stuck more at 2-3 Mbps. 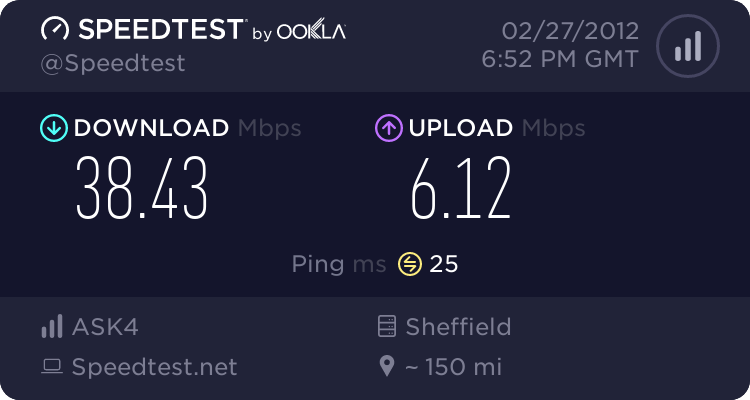 My downloads are always maxed out in the 38-40mbit region. Yeah - well I couldn't find where to raise a ticket, so I sent an email to support. Just wondered if this was an easy fix. 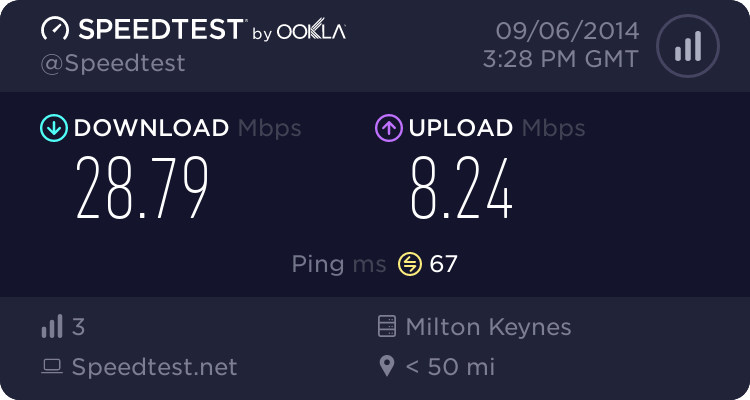 Mine was down to Thales Provisioning screwing me over by capping me to 2mb for some bizzare reason. My relationship with Thales at the moment isn't exactly great so my opinion of them are quite poor. Small things but would help to manage my expectations..
You tried texting them with the message "Digital Region" in it? I suppose I could, but that's not the point. I'll probably ring tomorrow (or knock on the door, I can see their office from my window).